Almost everyone has eaten raw cookie dough at some point in their lives. Although we’ve been told it isn’t safe, many of us roll our eyes and give it a taste anyway. However, many people don’t realize munchie raw dough could cost you your life. The Centers for Disease Control and Prevention use the holiday season every year to remind bakers and the like that eating cookie dough isn’t safe. Tasting any kind of unbaked product can make you sick. A relatively surprising number of recalls have been made recently due to salmonella contamination. It is important to remember that cookie dough is subject to this type of bacteria as well. 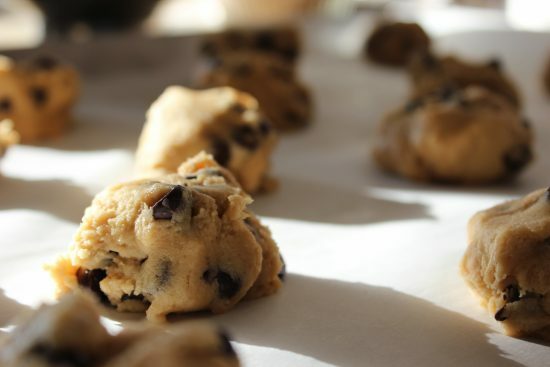 Flour used in cookie dough can contain bacteria and raw eggs can potentially carry salmonella. There has been no flour recalls this year because flour is a raw agricultural product, to begin with. This means the flour hasn’t been treated for any germs (like E. coli). Some harmful germs contaminate the flour while it is still in its grain form and it eliminated when it is cooked. The CDC cited a 2016 outbreak of E. coli linked to ingesting raw flour that made 63 people sick. Because flour has a long shelf-life, it is possible you may have some of this flour, which has since been recalled, still in your pantry. It was sold under the Gold Medal, Gold Medal Wondra, and Signature Kitchens brand names. Check your flours and throw away any recalled products before baking this season. If you have stored flour in a container and threw away the package, it is a good idea to throw it out just to be safe. Then wash the container with soap before storing new flour in it. Even though it is tempting, munching raw dough is a huge no-no, according to the CDC. Here are a few tips from the agency on safely handling raw cookie dough. It isn’t a good idea to let kids play with or eat raw dough. Bake off all dough before eating and follow the recipe or packaging for proper temperature and cook times. Make sure you clean up thoroughly after handling raw dough. Deep clean the bowls, utensils, countertops, and other surfaces. Then wash your hands thoroughly before doing anything else. Always keep raw foods away from already-cooked or ready-to-eat food. Refrigerate any products containing raw dough or eggs until they’ve been cooked. * Ice cream containing cookie dough sold in stores has been treated to kill any harmful bacteria. If you’ve already tasted some raw cookie dough this season – don’t worry. You’ll probably be fine but it isn’t a recommended practice. If you think you may have contracted a sickness from it, you will likely know within four days. E. coli food poisoning symptoms may vary from person-to-person. Generally, they include severing stomach cramps, diarrhea (sometimes bloody), and vomiting. These symptoms are usually seen within three to four days after swallowing the contaminated food. Recovery time usually takes about a week but, in some cases, people develop a serious type of kidney failure that can lead to death. Salmonella food poisoning shows up a bit sooner (six to 48 hours after swallowing the contaminated food). Most people experience diarrhea, fever, and cramps. Usually, people are able to recover within seven days without any type of medication or treatment. Both of these types of food poisoning can be especially serious in older adults, infants, and individuals with weakened immune systems. To ensure this doesn’t happen to you or your family, simply skip out on eating raw cookie dough, scraping the bowl clean, or anything like that. It is best to wait until your holiday treats are fully cooked before giving them a taste.